You can remap buttons on your regular Xbox One controller, but things aren’t as flexible as they are on the Elite controller. Microsoft promised that the Elite controller won’t be the only re-mappable controller when the New Xbox One Experience launches. That feature is now available through the Xbox Accessories App. 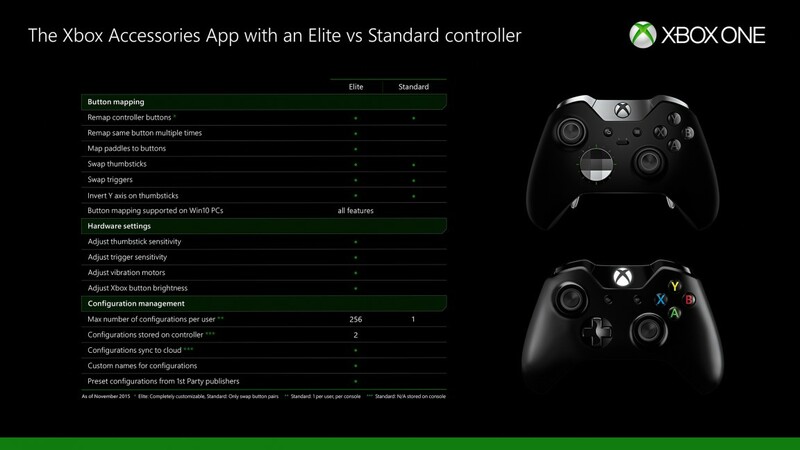 The new app launched with Xbox One’s recent UI overhaul, and offers far more extensive features if you own the $150 Elite controller. Major Nelson detailed what most users can expect to do with the standard controller. In short, the standard controller allows you to have one button do the function of another. You can only swap them, so for instance have the X button do the job of LB. Removing button functions entirely, and assigning multiple buttons to one function is reserved for the Elite controller. 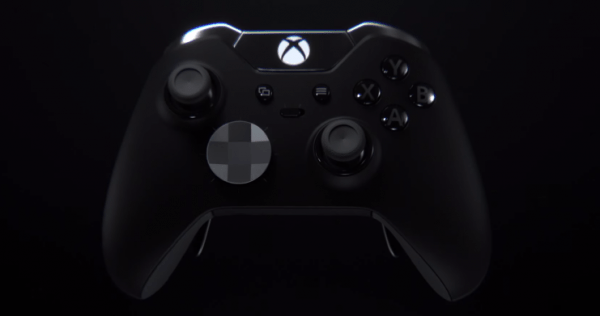 Furthermore, you can only have one active configuration per user on the standard controller, with up to 256 allowed for the Elite. These configurations also stay on the same Xbox console for the former, but carry on with the latter, including the ability to bring them to a PC. You can tweak these settings under Settings>Kinect & Devices>Devices & Accessories. Alternatively, you can launch the Xbox Accessories app. If you’re into feature tables, here’s the full list of what’s available on each of the controllers.